1. Kunkel, L. Analysis of deletions in DNA from patients with Becker and Duchenne muscular dystrophy. Nature 1986, 322 (6074), 73-77. 2. Ahn, A.H.; Kunkel, L.M. 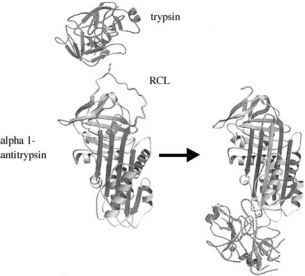 The structural and functional diversity of dystrophin. Nat. Genet. 1993, 3, 283-291. 3. Nishio, H.; Takeshima, Y.; Narita, N.; Yanagawa, H.; Suzuki, Y.; Ishikawa, Y.; Minami, R.; Nakamura, H.; Matsuo, M. Identification of a novel first exon in the human dystrophin gene and of a new promoter located more than 500 kb upstream of the nearest known promoter. J. Clin. Invest. 1994, 94, 1037-1042. 4. Oudet, C.; Hanauer, A.; Clemens, P.; Caskey, T.; Mandel, J.L. Two hot spots of recombination in the DMD gene correlate with the deletion prone regions. Hum. Mol. Genet. 1992, 1, 599-603. 5. Chamberlain, J.S. ; Gibbs, R.; Ranier, J.; Caskey, C. Multiplex PCR for the Diagnosis of Duchenne Muscular Dystrophy. In PCR Protocols. A Guide to Methods and Applications; Innis, M., Gelfand, D., Sninsky, J., White, T., Eds. ; Academic Press: San Diego, CA, 1990; 272-281. 6. Beggs, A.H.; Koenig, M.; Boyce, F.M. ; Kunkel, L.M. Detection of 98% of DMD/BMD gene deletions by polymerase chain reaction. Hum. Genet. 1990, 86, 45-48. 7. McCabe, E.R.B. ; Towbin, J.; Chamberlain, J.; Baumbach, L.; Witkowski, J.; van Ommen, G.J.B. ; Koenig, M.; Kunkel, L.M. ; Seltzer, W.K. Complementary DNA probes for the Duchenne muscular dystrophy locus demonstrate a previously undetectable deletion in a patient with dystro-phic myopathy, glycerol kinase deficiency, and congenital adrenal hypoplasia. J. Clin. Invest. 1989, 83, 95-99. 8. Beggs, A.H.; Kunkel, L. Improved diagnosis of Duchenne/ Becker muscular dystrophy. J. Clin. Invest. 1990, 85, 613619. 9. Roberts, R.G. ; Barby, T.F. ; Manners, E.; Bobrow, M.; Bentley, D.R. Direct detection of dystrophin gene rearrangements by analysis of dystrophin mRNA in peripheral blood lymphocytes. Am. J. Hum. Genet. 1991, 49, 298-310. 10. Surono, A.; Takeshima, Y.; Wibawa, T.; Ikezawa, M.; Nonaka, I.; Matsuo, M. Circular dystrophin RNAs consisting of exons that were skipped by alternative splicing. Hum. Mol. Genet. 1999, 8, 493-500. 11. Dwi Pramono, Z.A. ; Takeshima, Y.; Surono, A.; Ishida, T.; Matsuo, M. A novel cryptic exon in intron 2 of the human dystrophin gene evolved from an intron by acquiring consensus sequences for splicing at different stages of anthropoid evolution. Biochem. Biophys. Res. Commun. 2000, 267, 321-328. 3 of the dystrophin gene was incorporated into dystrophin mRNA with a single nucleotide deletion in exon 5. J. Hum. Genet. 2002, 47 (4), 196-201. 13. Roest, P.A. ; Roberts, R.G. ; van der Tuijn, A.C.; Heikoop, J.C.; van Ommen, G.J. ; den Dunnen, J.T. Protein truncation test (PTT) to rapidly screen the DMD gene for translation terminating mutations. Neuromuscul. Disord. 1993, 3, 391 -394. 14. Roberts, R.G. ; Gardner, R.J.; Bobrow, M. Searching for the 1 in 2,400,000: A review of dystrophin gene point mutations. Hum. Mutat. 1994, 4, 1-11. 15. Prior, T.W. ; Papp, A.C.; Snyder, P.J. ; Sedra, M.S. ; Western, L.M. ; Bartolo, C.; Moxley, R.T.; Mendell, J.R. Heteroduplex analysis of the dystrophin gene: Application to point mutation and carrier detection. Am. J. Med. Genet. 1994, 50, 68-73. 16. Dolinsky, L.C. ; de Moura-Neto, R.S. ; Falcao-Conceicao, D.N. DGGE analysis as a tool to identify point mutations, de novo mutations and carriers of the dystrophin gene. Neuromuscul. Disord. 2002, 12, 845-848. 17. Flanigan, K.M. ; von Niederhausern, A.; Dunn, D.M. ; Alder, J.; Mendell, J.R.; Weiss, R.B. Rapid direct sequence analysis of the dystrophin gene. Am. J. Hum. Genet. 2003, 72 (4), 931-939. 18. Bennett, R.R. ; Dunnen, J.; O'Brien, K.F. ; Darras, B.T. ; Kunkel, L.M. Detection of mutations in the dystrophin gene via automated DHPLC screening and direct sequencing. BMC Genet. 2001, 2, 17. 19. Mendell, J.R.; Buzin, C.H. ; Feng, J.; Yan, J.; Serrano, C.; Sangani, D.S. ; Wall, C.; Prior, T.W. ; Sommer, S.S. Diagnosis of Duchenne dystrophy by enhanced detection of small mutations. Neurology 2001, 57, 645-650. 20. Arahata, K.; Ishiura, S.; Ishiguro, T.; Tsukahara, T.; Suhara, Y.; Eguchi, C.; Ishihara, T.; Nonaka, I.; Ozawa, E.; Sugita, H. Immunostaining of skeletal and cardiac muscle surface membrane with antibody against Duchenne muscular dystrophy peptide. Nature 1988, 333, 861-863. 21. Mann, C.J. ; Honeyman, K.; Cheng, A.J. ; Ly, T.; Lloyd, F.; Fletcher, S.; Morgan, J.E. ; Partridge, T.A. ; Wilton, S.D. Antisense-induced exon skipping and synthesis of dystro-phin in the mdx mouse. Proc. Natl. Acad. Sci. U. S. A. 2001, 98, 42-47. 22. van Deutekom, J.C.T. ; Bremmer-Bout, M.; Janson, A.A.M. ; Ginjaar, I.B. ; Baas, F.; den Dunnen, J.T. ; van Ommen, G.J. Antisense-induced exon skipping restores dystrophin expression in DMD patient derived muscle cells. Hum. Mol. Genet. 2001, 10, 1547-1554. 23. Takeshima, Y.; Yagi, M.; Ishikawa, Y.; Ishikawa, Y.; Minami, R.; Nakamura, H.; Matsuo, M. Oligonucleotides against a splicing enhancer sequence led to dystrophin production in muscle cells from a Duchenne muscular dystrophy patient. Brain Dev. 2001, 23, 788-798. 24. Pramono, Z.A. ; Takeshima, Y.; Alimsardjono, H.; Ishii, A.; Takeda, S.; Matsuo, M. Induction of exon skipping of the dystrophin transcript in lymphoblastoid cells by transfecting an antisense oligodeoxynucleotide complementary to an exon recognition sequence. Biochem. Biophys. Res. Commun. 1996, 226, 445-449.